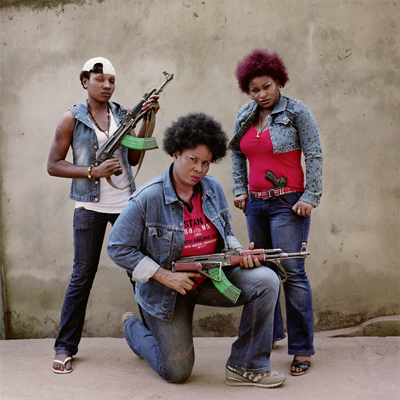 Unbeknownst to most cinema lovers, there is a film revolution currently going on in Africa. 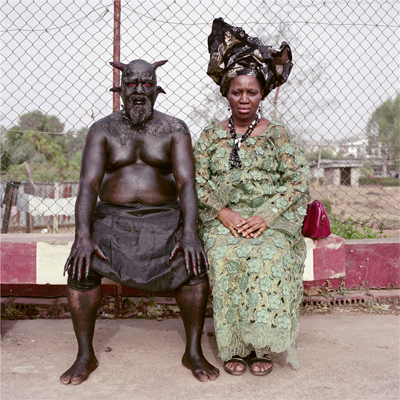 'Nollywood' is the umbrella term for the explosion of video-films from Nigeria and Ghana over the past fifteen years. Rather than using traditional celluloid film which is infeasibly expensive for African film-makers, Nollywood directors shoot directly onto video. What began with a few experimental videographers making quick, cheap video-films and selling them at markets has become a popular entertainment industry that has reshaped the way Africans watch movies..... Read the rest of my article on 'Nollywood' here. 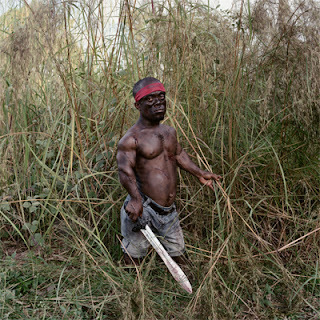 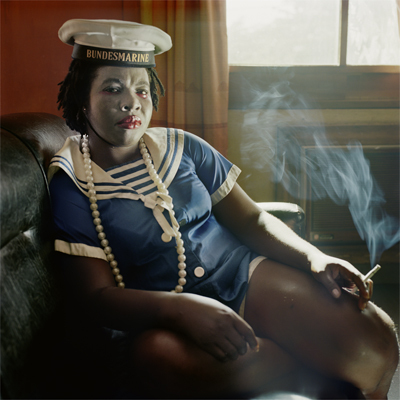 South African photographer Pieter Hugo shot a series of photographs in 2008-2009 entitled 'Nollywood'. 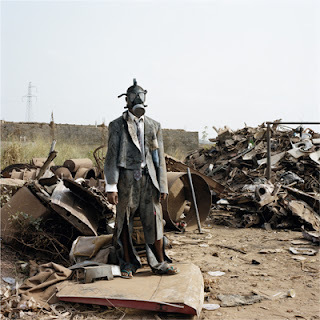 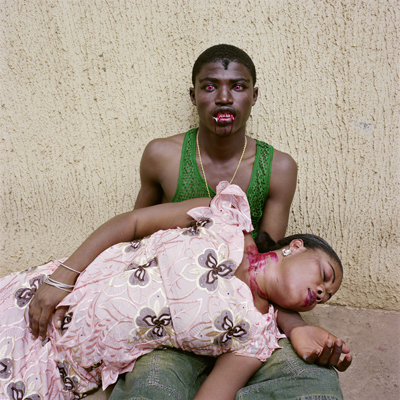 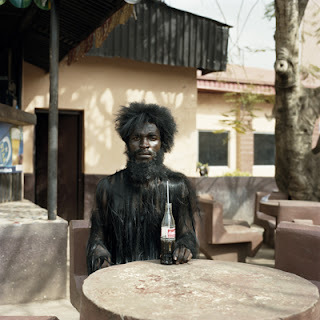 Taken in Nigeria, Hugo's series deals with country's connection to film, the wild passions and supernatural elements which run through their video-film industry, and the history of violence which pollutes much of Africa.